To paraphrase Alex Haley: A library of Knoxville and Farragut history burned down with the July 2 passing of retired Judge David Creekmore. All told, Judge Creekmore practiced law here for 52 years. His mom, the late Betsey Beeler Creekmore, was a founder of Dogwood Arts; his dad, the late Frank B. Creekmore, was a noted legal scholar; and his twin sister, Betsey Creekmore, was a pioneer female administrator at the University of Tennessee. A lifelong resident of West Knoxville, Mr. Creekmore served as a general sessions judge for 15 years. He then served as municipal judge for the town of Farragut for several years. 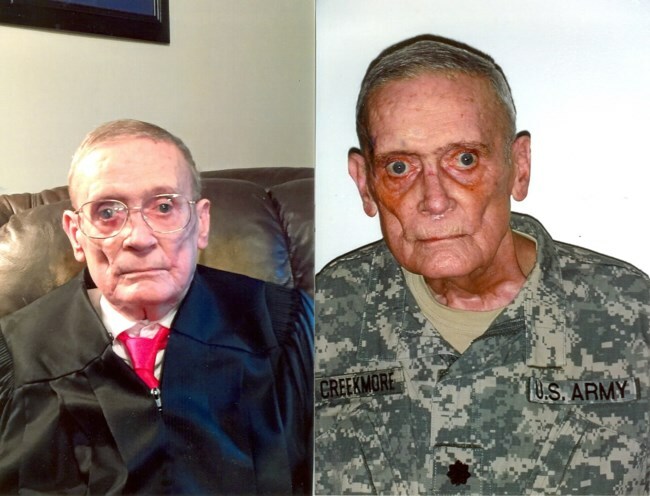 According to his obituary, when the Cocke County general sessions judge was called to active duty in Iraq, he served four years in his stead. Creekmore was a writer, a collector of antiques and a student of history. He served 26 years with the U.S. Army reserves with three overseas assignments. He leaves his sister, Betsey, and a son, Walton. The family will receive friends at Berry Highland Memorial from 6 p.m. Thursday, July 5, with a graveside service at Highland Memorial at noon Friday.